When walking on the SEKEM Farm during days like these, you might notice beautiful sunflowers – although it is not summer, the season in which the flowers usually bloom. The question comes up, who planted these gorgeous flowers and is it possible to bring some home. . .
You can easily find out that Ismail Elsayed is in charge for the small garden next to the SEKEM School. He was one of the first farmers, who joined Dr. Ibrahim Abouleish at the very beginning of building up SEKEM Initiative. Hence, Ismail Elsayed has been engaged to many different activities at SEKEM and is now working as a teacher for Biodynamic agriculture at SEKEMs special education program. His characterful face seems to hide many stories. His shining eyes, his beautiful smile and many small wrinkles are telling stories of commitment, development and a deep belief in the vision of a better future. Already in 1980, after finishing the compulsory period of military service, Ismail joined SEKEM as a gardener. He was 30 years old, back then. But he already experienced as a farmer when he was a knee-high to a grasshopper. 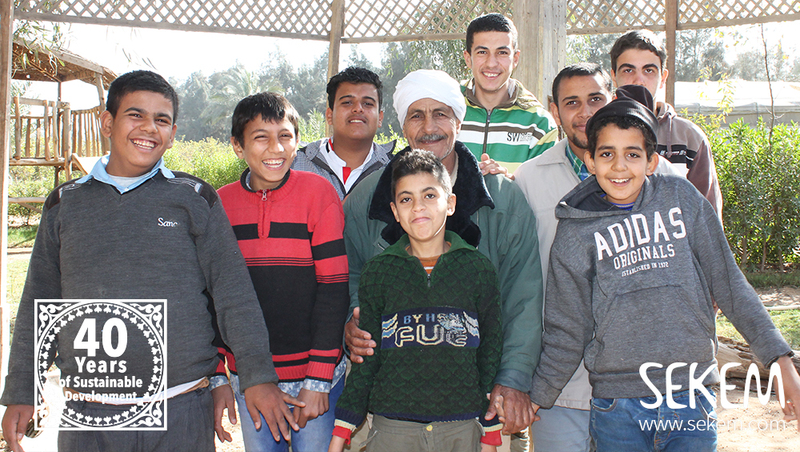 Like all Egyptian farmers, the young Ismail inherited the know-how of farming techniques, as well as the traditional livestock breeding practices from his father. However, at SEKEM, Ismail learned many new approaches. “When looking back, I see that I learned something new every day” the farmer recalls. Starting with biodynamically greening the sand plots, to working at the animal production section, then at the compost preparation, Ismail experienced many new activities under the supervision of Dr. Abouleish. 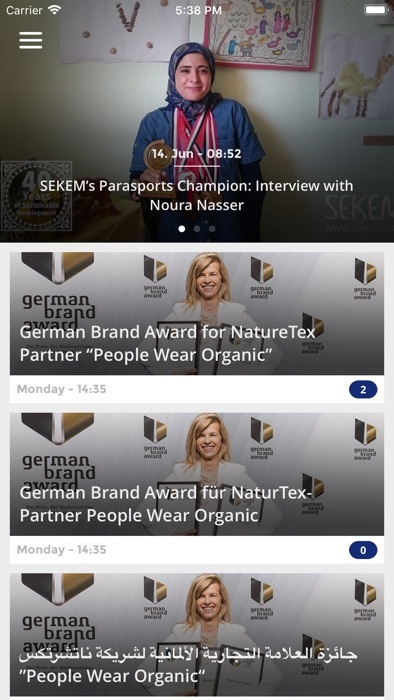 A very special memory remains the day when Angela Hofmann joined SEKEM: “I was amazed that a young lady from Germany wanted to join us in the Egyptian desert – especially because she brought 40 cows to us.” Today Ismail and Angela Hofmann, longstanding agricultural coordinator at SEKEM, build a wonderful team. “I was glad that Dr. Abouleish introduced me to work with Angela at SEKEMs livestock department and afterward at the compost preparation. I learned a lot from her,” says the SEKEM co-worker. Ismail Elsayed with “his” children at SEKEM School. Hence, the devoted farmer started his current position at SEKEM School as a teacher for SEKEMs children with special needs. He practically teaches them the basics of Biodynamic agriculture. “These children are intelligent and deserve to find decent conditions to develop their potential and be productive,” says Grandpa Ismail, as the children call him. Together with Ismail, the children planted the small field of sunflowers next to the school. Not only the beauty of the flowers touches you, but also to the scene of Ismail collecting a bunch of sunflowers together with “his” children. It reflects the story of a man that was greening the desert long time ago and now passes his experiences to a new generation. 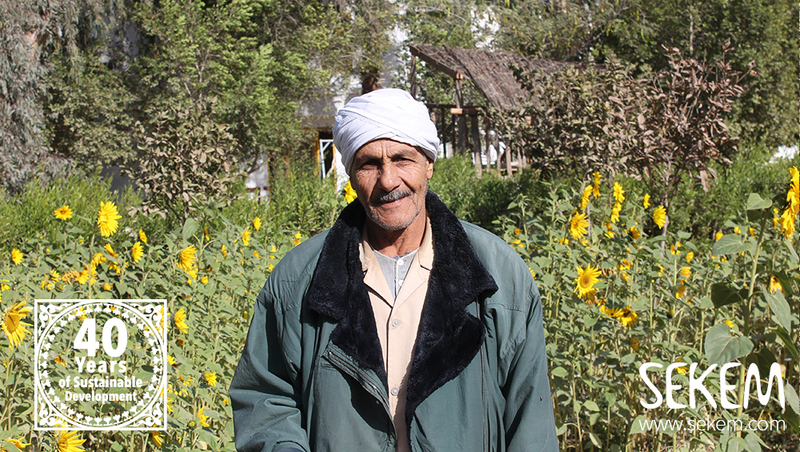 “We usually celebrate our yield of sunflowers by dedicating some of them to Dr. Abouleish. Every day, we put a bouquet on his grave. We know that sunflowers were one of his favorites,” says the likable teacher.